This is a four paged, laminated “fold-over” card, A4 in size. 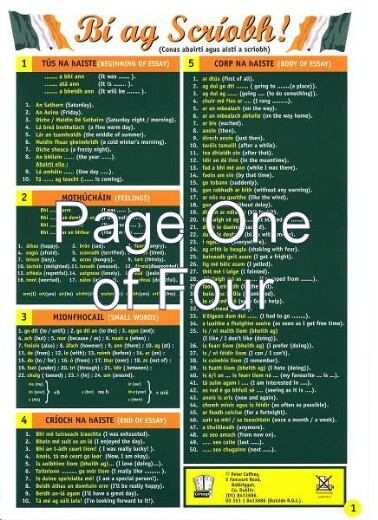 Its purpose is to get students to write meaningful sentences and essays “as Gaeilge”. General expressions and phrases are presented in sequential fashion. Verbs and vocabulary are given for essays in three tenses – Inn�, Gach L� and Am�rach. Suitable for 4th, 5th and 6 class students in primary schools.